When voters like Olivia Barbour went to the polls in 1978 to vote for Prop 13, there was no way for them to know the impact it would have on their community 30 years later. The 70 year old South LA resident is retired from the Air Force and moved to Los Angeles for the incredible lifestyle California offered in the 1970’s. But, when she saw her friends and neighbors struggling with rapidly increasing property taxes, she joined the campaign to stabilize taxes and help keep people in their homes. Voting for Prop 13 seemed like the only option to make sure homeowners could stay in the homes they worked so hard to buy in the face of rapidly rising real estate values and property taxes. Now, almost 40 years later, Olivia and her neighbors are experiencing the problems stemming from Prop 13’s loopholes and inequities which have allowed corporations and wealthy property owners to avoid paying their fair share in property taxes. As a result, California has made deep cuts to education, health care, foster care and senior services, and even closed parks and libraries. These cutbacks have made it harder for ordinary people in our communities to get ahead, and have eroded the quality of our neighborhoods. “Nobody knew that there would be loopholes for corporations and rich commercial property owners. Everyone has been affected. Since then I’ve seen the schools in my neighborhood lose funding for the arts and afterschool programs. Many public buildings were not maintained and some even closed. Infrastructure in LA has been left to crumble before our eyes. And, as city and county programs were cut, people lost their jobs and even their homes,” says Barbour. She has also seen the impacts of Prop 13 on mental health and substance abuse programs, services that were essential to getting her life back on track after she fell victim to drugs and alcohol to cope with life’s disappointments and hardships. Seeing the devastation to families in her neighborhood, Olivia joined the Community Coalition and has been active in efforts to help stop the cuts and restore funding to the services we need the most. In 2012 she helped made phone calls and knocked on doors to help raise $6 billion a year in funding for education through Prop 30. 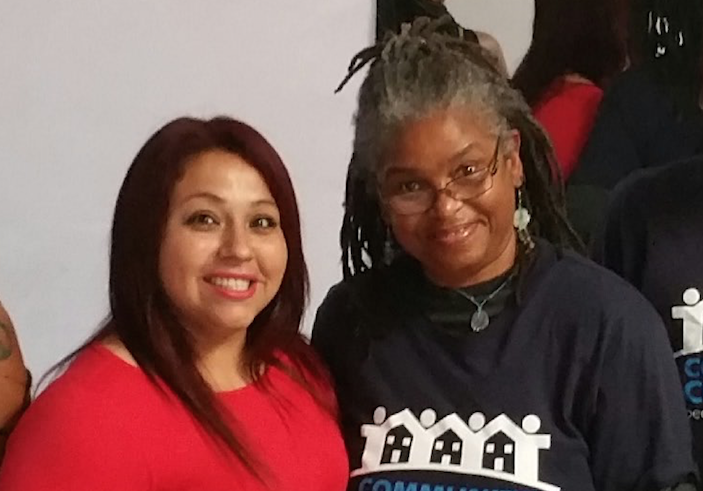 In 2014, she helped pass Prop 47 to prioritize crime prevention and help people get back on their feet. Now, Olivia is going out every day to talk to voters about our next opportunity to restore funding and build support for the Make It Fair campaign to close the corporate loopholes that are depriving our communities of services. Make It Fair will keep the protections for homeowners and renters, but it will address the huge inequities in commercial property taxes and raise a projected $9 billion in new revenue for schools and local government services.